Last week in #SocialSpin we began looking at ways to prevent losing control of your brand’s online conversation. Following on from the importance of implementing a social media policy, this week’s post will focus on hashtag hijacking and how to prevent it. Trolls. Some might think they’re being funny, and others will just be doing it to annoy you. You might also get people using your hashtag ironically. Spammers. If your hashtag becomes popular, spammers might start using it to get their own posts seen. Strangers. It’s always good practice to check a hashtag isn’t in use before claiming it as your own, but some people don’t do this, and can accidentally start using yours. There’s no way of protecting your hashtag completely. You have no control over who uses it, and you don’t have any ownership over it, either. Once a hashtag is hijacked, you have two choices: ignore the hijackers and continue, or just abandon it. 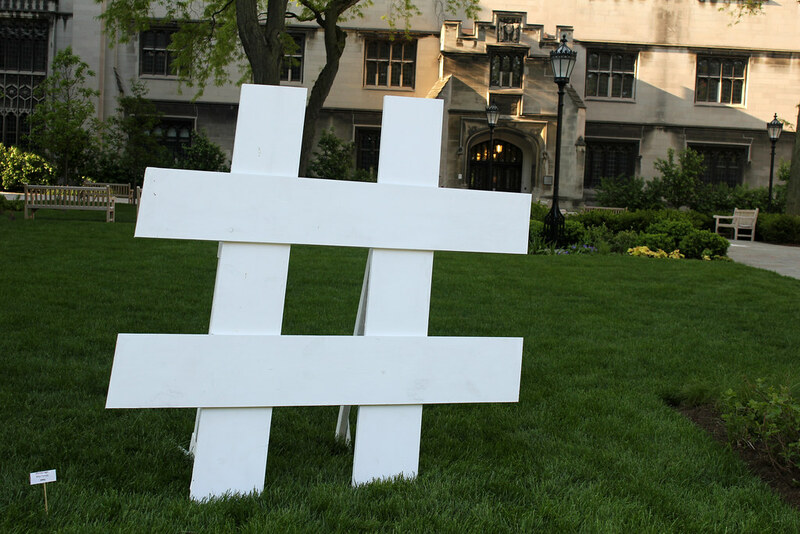 To reduce the likelihood of finding yourself in this position, you need to create strong, hijack-resistant hashtags. A good hashtag is short, unique, and unambiguous. The more specific it is, the less chance of somebody else using it unintentionally. Sometimes, though, a hashtag will become too popular for its own good. Let’s use a hashtag game as an example. At first, everybody will know you started the game, and that’s great for marketing. But, as it becomes popular, or starts trending, it won’t be so easy for people to trace back to the source — unless the hashtag makes it obvious it began with your company. But then it’s looking a lot like marketing and a lot less like fun, so your audience will get turned off. The solution? Give people a reason to use your hashtag. Offer prizes (or retweets) for the best ones. You could also encourage @replies, but if users don’t know to put a character before the @mention, only mutual followers will see it — and it’s probably not worth the risk, unless your audience is tech-savvy. Next week in #SocialSpin, we’ll be talking about comment moderation, and whether or not you should use it. In the mean time, sign up to get Ghost Tips, or reach out to us on Twitter, using the hashtag #SocialSpin!